As Tampa’s temperatures reach an all-time high in August, the “Halfway There” marker for Tampa Bay Beer Week 2018 could not be any more convenient or welcomed. On Saturday, August 25 from 2 p.m. to 6 p.m., the Halfway There: A Festival of Beer hosted at Heights Public Market will bring us a much-needed refresher in the way of ice-cold beers from 50 breweries. Celebrate the upcoming TBBW 2019 as well as Tampa’s premier craft beer scene by trying brews from local and national companies as well as specialty imports. There will be a number of local breweries pouring their best including 7venth Sun Brewing, Cigar City Brewing, Coppertail Brewing Co., Florida Avenue Brewing Co., Tampa Bay Brewing Company, and many more. See the full list of participating breweries on the Tampa Bay Beer Week website. General admission tickets for the festival are $50 the day-of at the door and include a commemorative sample glass and unlimited samplings. If you’ve already slated August 25 for the festival (who wouldn’t? ), make an already-sweet deal even better by saving some money and buying tickets on pre-sale for $35! 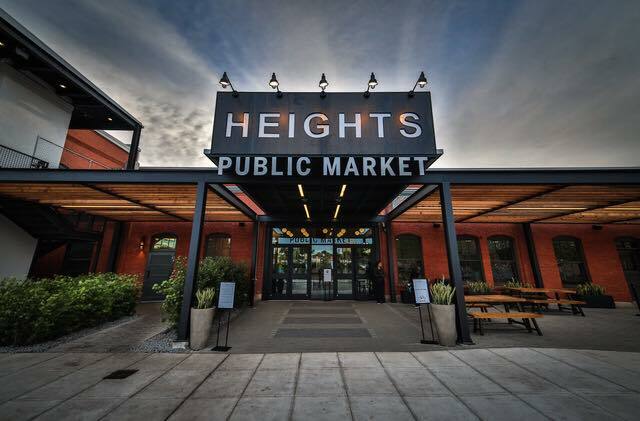 Food will be available for purchase from Heights Public Market, Tampa's newest trendy food hall. The market features a variety of cuisines sure to please any palette including ramen bowls, bbq, wood-fired pizza, sushi, burritos, and Cuban and Filipino staples. There is also classic American fare as well as specialty sandwiches and salads. While enjoying craft beer samples and amazing food, you’ll also be helping make TBBW 2019 possible as this festival is the main fundraising event for Tampa Bay Beer Week. So pay it forward in the most fun of ways by drinking with friends and beating the heat at Armature Works during Halfway There: A Festival of Beer! Find more events in Tampa by registering on 813area, your free guide to everything going on in the Tampa Bay area.